The heart produced by researchers at Tel Aviv University is about the size of a rabbit’s. 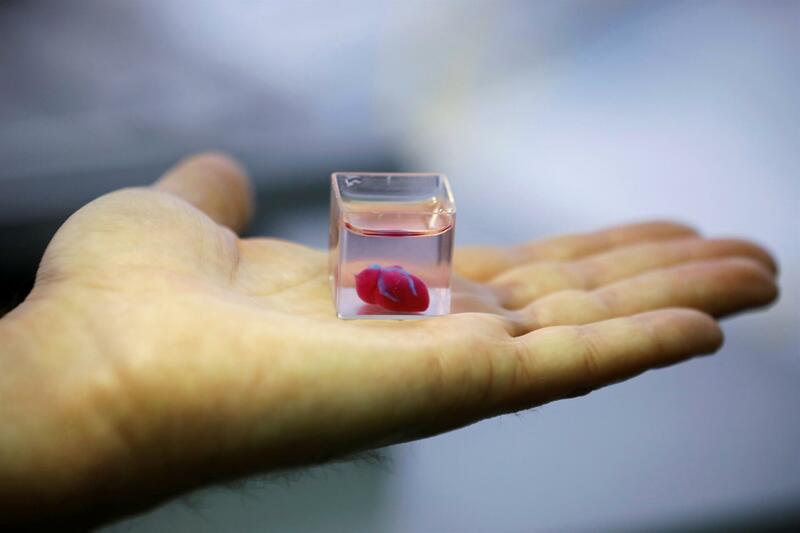 It marked “the first time anyone anywhere has successfully engineered and printed an entire heart replete with cells, blood vessels, ventricles and chambers,” said Tal Dvir, who led the project. “People have managed to 3D-print the structure of a heart in the past, but not with cells or with blood vessels,” he said. But the scientists said many challenges remain before fully working 3D printed hearts will be available for transplant into patients. 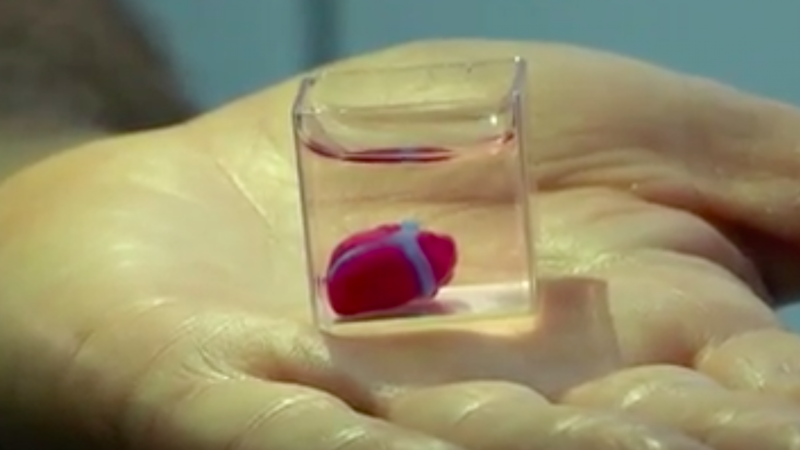 Journalists were shown a 3D print of a heart about the size of a cherry at Tel Aviv University on Monday as the researchers announced their findings, published in the peer-reviewed journal Advanced Science. Researchers must now teach the printed hearts “to behave” like real ones. The cells are currently able to contract, but do not yet have the ability to pump. Then they plan to transplant them into animal models, hopefully in about a year, said Dvir. “Maybe, in 10 years, there will be organ printers in the finest hospitals around the world, and these procedures will be conducted routinely,” he said. 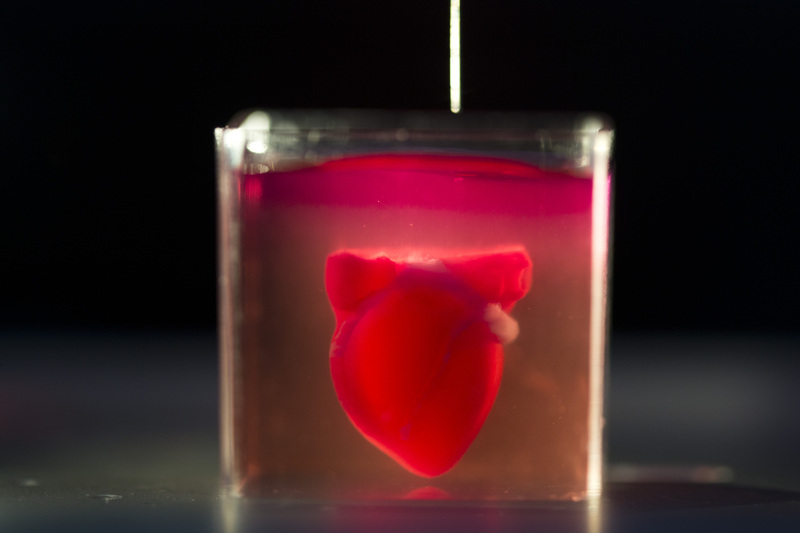 The scientists said many challenges remain before fully working 3D printed hearts will be available for transplant into patients.